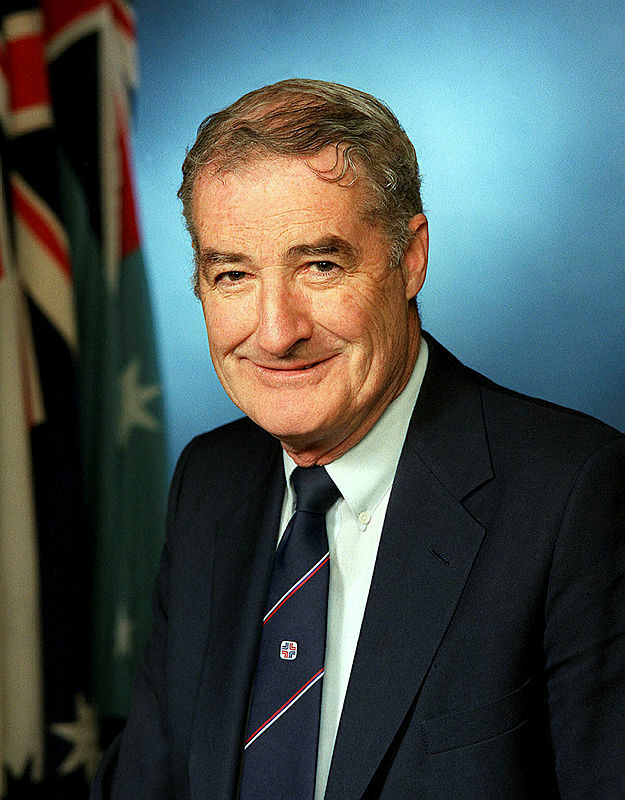 The former Secretary of Defence, Tony Ayers, who died last week aged 82, was truly the last of the Mandarins in Canberra. He served as a permanent head of five departments for almost 20 years from 1979 to when he retired in 1998— Aboriginal Affairs, Social Security, Community Services, Community Services and Health, and Defence. He was Secretary for almost 10 years in the latter office, slightly longer than Sir Arthur Tange. It was when he was appointed Secretary of Defence that I worked with him as one of his three Deputy Secretaries. Tony succeeded one of his best friends, Alan Woods, who told me that Tony was a strong leader with a towering personality. He also remarked on his strong interest in mentoring promising members of the Senior Executive Service and his outstanding networking contacts throughout the Canberra bureaucracy. Tony Ayers had great political experience. He worked for then-Prime Minister Malcolm Fraser as Deputy Secretary in the Department of Prime Minister and Cabinet and had survived through the transition to the Hawke Labor Government in 1983 and again through the election of the Howard Government in 1996. In a rare public statement, he criticised the way in which Howard had pre-emptively sacked a number of other Secretaries. That Tony got away with this reflected both his own skill in knowing how far to push the issue and the respect in which he was held. Tony Ayers was a great believer in the Westminster system of an apolitical public service that provided objective advice to whichever government was in power. He considered that the current fad for heads of department being on short-term contracts undermined that basic principle. It was Tony who lured me from my job as Director of the Joint Intelligence Organisation to become Deputy Secretary Intelligence and Strategy. When I demurred he gave me an icy stare, observing that a) I had no choice and b) this was a golden opportunity to actually implement the recommendations I had made in the Dibb Report. And he was, of course, absolutely right. Tony had a distinctive management style. He would brook no nonsense, but he was deeply concerned about the personal welfare of his senior officers. Unlike many Permanent Secretaries, Tony didn’t attempt to micromanage the huge Defence Organisation. He allowed his Deputy Secretaries full management devolution. But he had an uncanny knack of knowing when political trouble was looming. As he used to say, ‘Dibby when I come into your office and put my size 12 Julius Marlowes on your coffee table you will know that the end of my political nose says there is trouble’. And he was invariably right. One of his great bequests to Australia—the country he loved—was to develop a stellar team of senior public servants who went on to do other things in their country’s service. And he was the first Secretary of Defence to make sure that he had excellent working relationships with successive Chiefs of the Defence Force. That hadn’t always been the case. When Kim Beazley became Defence Minister, civil-military relations in the Defence Organisation were poisonous. Tony Ayers went to enormous lengths to ensure that his relationships with General Peter Gration, Admiral Alan Beaumont and General John Baker were not only collegial but personally close. That made for an entirely different culture in Defence throughout the decade of his tenure as Permanent Secretary. My early memories of Tony Ayers comes from meetings between him and a young Alexander Downer, shadow minister for Defence in 1991. Ayers at that point was four years into his decade-long tenure as Secretary of Defence. He was vastly experienced in the ways of Canberra politics and dealt with Alexander’s enthusiasms with good humour and earthy advice. Two of Tony’s favourite phrases were ‘when the brown fluid hits the fan’, meaning when trouble broke, and he spoke of giving people a ‘Florsheim massage’: a good kicking if a junior official had done something wrong. Those bon mots would be accompanied by a big laugh and a wide smile. Tony was tough, but in my experience actually a kind man. If a junior staffer needed some attitude adjustment it would be tough love rather than random and arbitrary raging. As an EL2 in Defence in the mid-1990s I recall Tony calling me into his office for a couple of career chats. We would go into the kitchen area and Tony would make me a coffee—of the instant variety—before chatting on some ancient chairs by his desk. He was open in his advice often drawing on experiences of his own—mistakes he might have made or judgement calls that could have been better. Readers in this modern age might wonder at the marvel of a Secretary spending 20 minutes with a vastly more junior staff member to simply pass on good advice. Those chats continued over a number of years including after Tony’s retirement in 1998. The Chinese have a saying: ‘Govern a family as you would cook a small fish—very gently.’ There was as much of that in Tony’s leadership style as there was Florsheim massages. I realise now I owe him quite a lot for that advice. Ayers knew how to get on with people from all walks of life. He once invited me to attend a dinner for a visiting Papua New Guinea Minister for Defence with the unlikely name of Mao Zeming. Tony picked a modest Chinese restaurant part of a Football Club—not typically the place a Departmental Secretary might take a visiting minister. The dinner was a raging success with Tony and Mao swapping jokes like reunited brothers. The first term of the Howard Government was Tony’s last as Secretary of Defence. I recall him as an excellent relationship manager working with a government that was wanting to make fast and substantial reforms. If there was ever a shred of difference between Ayers and the Chief of Defence Force, General John Baker, it was never seen in Parliament House. Ayers had the capacity to tell a Minister if an idea was silly or inappropriate and do so in such a way that the Minister was (usually) grateful for the advice. It takes smarts and toughness to be Secretary for Defence for a decade. Tony had those attributes but he was also a caring man interested in his staff and a modest person able to deliver thoughtful advice without being grandiose or vindictive. He was, in short, a class act and will be missed by many people in this town. Paul Dibb is emeritus professor of strategic studies at The Australian National University. Peter Jennings is executive director at ASPI.